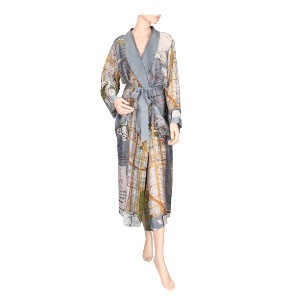 At last we've found the perfect lightweight dressing gown, and it's gorgeous too! Soft fabric printed in hues of soft greys, off-white and warm ochre and inspired by vintage New York tube maps. British label One Hundred Stars create gorgeous hand dyed and screen printed scarves, using up to 10 screens per design. Their collections are inspired by vintage maps, botanicals, insects and graphics, and designs are printed on the very best of soft cotton, linen and silk. 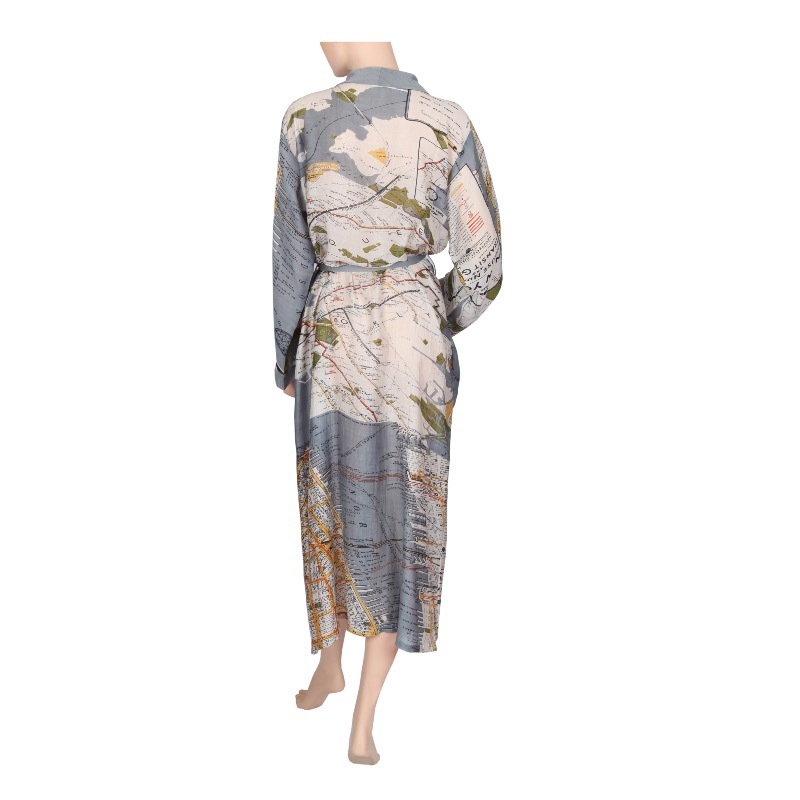 We've just received gorgeous new prints in robes in store, Pansy in hues of blue, and Crane in hues of mossy green.